Chilled Water Systems, Lakeland, FL | Johnson's Mechanical Inc. 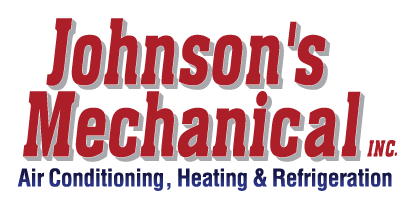 Chilled Water Systems, Lakeland, FL | Johnson's Mechanical Inc. When you need service for your chilled water systems in Lakeland, contact us at Johnson’s Mechanical, Inc.
Isn’t modern technology wonderful? Not only are we able to use air conditioning in our homes to keep them comfortable, even on the hottest of days, but we also have the ability to choose from a variety of air conditioners. For example, rather than relying on air conditioners that utilize refrigerant, you now have the option of choosing chilled water systems for your home instead. If you have chosen chilled water systems for your home, you do your best to keep them in good repair, ready to be utilized whenever you need them. However, when you need service for your chilled water systems, you need a company that is experienced in dealing with them. When you need service for your chilled water systems, contact us at Johnson’s Mechanical, Inc. We have the knowledge, experience and equipment necessary to provide you with fast, reliable and professional service. We are able to service all makes and models of chilled water systems, regardless of where you purchased yours. If you are looking for service for your chilled water systems in Lakeland, Florida, contact us. We are committed to providing you with the highest level of customer service. When you choose us, we know that you’ll be glad that you did. As a family owned and operated business, we are committed to providing you with an experience marked by honesty and integrity. We are a state certified refrigeration contractor, which means we are trained and know our business well. In addition, we are licensed and insured and will do our best to provide you with quality and professional service. Let us help you maintain your chilled water systems for years to come.